One Mom's Moxie: Kindle Fire Giveaway!!! This Giveaway is sponsored by 2 Crystal Chicks and hosted by So Lo La Deals, Saving and More, & Debt Free Spending! With easy entries and only a few days to win, you don't want to miss the chance to win a Kindle Fire!! This giveaway ends July 6th, so hurry and get your entries in!! Have not had much technological advancements...would really really hope to win something that is actually pretty cool! Oh, how I would love to win a Kindle Fire to take with me on my long commutes to work and up to the cottage. Thanks for the opportunity. This would be great to win for my husband. Thank you for the giveaway! Thank you for the great giveaway! I hope I will win the prize. I would love to win one! Our local library recently remodeled and got rid of a large percentage of their books because they are going more high tech as well. I could continue enjoying reading if I had one! Thanks for the opportunity! I have been wanting one forever,keeping my fingers crossed! 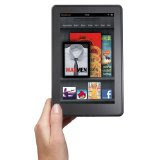 I have entered so many kindle fire giveaways.. hopefully, this is the one I win.. lol.. Thanks for the opportunity! Would love love love to win this!!! Thank you so much for an awesome giveaway!!! :) Happy 4th of July!!! I would like to win this for my hubby. But I might borrow it. I would like to win this to give to my husband. He loves to read and work on apps. I would give this to my husband, he loves to read and work on apps. Thank you so much for having this giveaway it's the only way I will ever be able to get a kindle!! I really hope I win, a Kindle Fire would be great! Thank you for this giveaway! This is such a great prize to offer to fans.